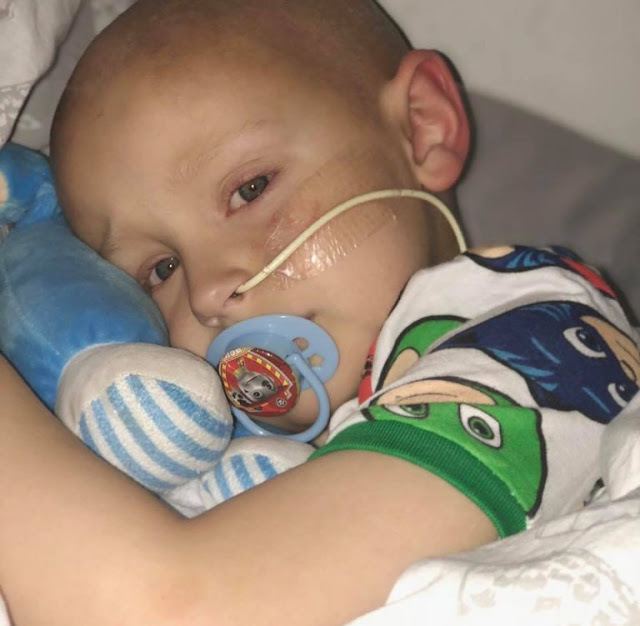 Last week, after two gruelling years of fighting against a cancerous tumor, the brave Charlie Proctor, all of 5 years, went with his creator to the grief of her parents. Her mom, Amber Schofield decided to pay a tribute to her son’s braveness by sharing their last moments together. In 2016, Charlie Proctor was diagnosed with Hepatoblastoma, a very rare kind of liver cancer. 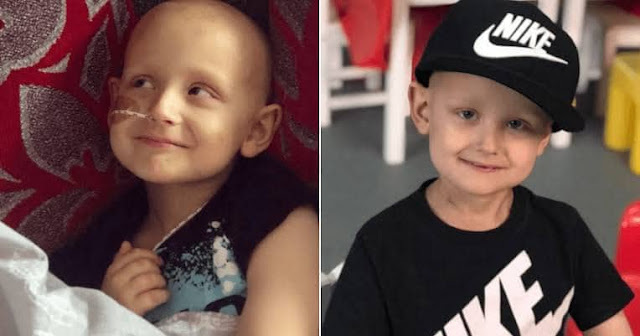 His parents Ben and Amber, tried desperately to raise enough money to get him a transplant in the US. They even resorted to crowdfunding, so as to raise the $ 855,580 they needed for the organ transplant. Unfortunately, they weren’t able to come up with the amount they needed, and doctors gave little Charlie a few days to live. Her mother shared that Charlie has been an inspiration not only to her, but to thousand other people whose lives he touched. 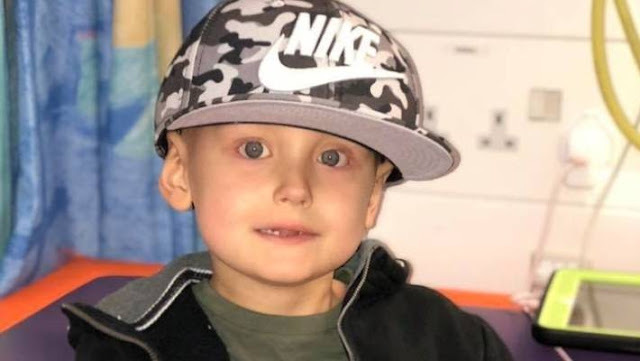 His “smile” captured the hearts of many people as Amber posted updates of how Hepatoblastoma is taking its toll on her child on Charlie’s Chapter, his online page. Over the weekend, the grieving mother announced the demise of her beloved son, who fought his best against the disease and yet it wasn’t enough. She thanked him for showing her what love really is, and distraught as they may be, she is happy that his suffering has ended, and it’s time for him to fly. Amber also shared that during the last moments with her son, Charlie was always agitated and always felt tired. But she would never forget the time when he apologized and said “Mommy, sorry for this…” It’s an apology from a 5 year old boy for the horrific ordeal the disease brought to his family.